Planning a trip away in this cold weather? Hudson's Bay has a bunch of flash sales today that could help! 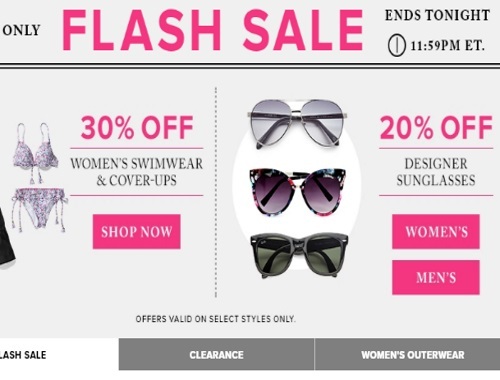 Save 30% off Women's Swimwear and Cover Ups and 20% off designer sunglasses. Offer is valid on select styles only, online only, today only, Wednesday January 25, 2017.